Context Research is my agency’s (Carton Donofrio Partners), ethnography division. They often work with Graphic Recorders, who bring the contents of their research, meetings and presentations to life through artistic murals. 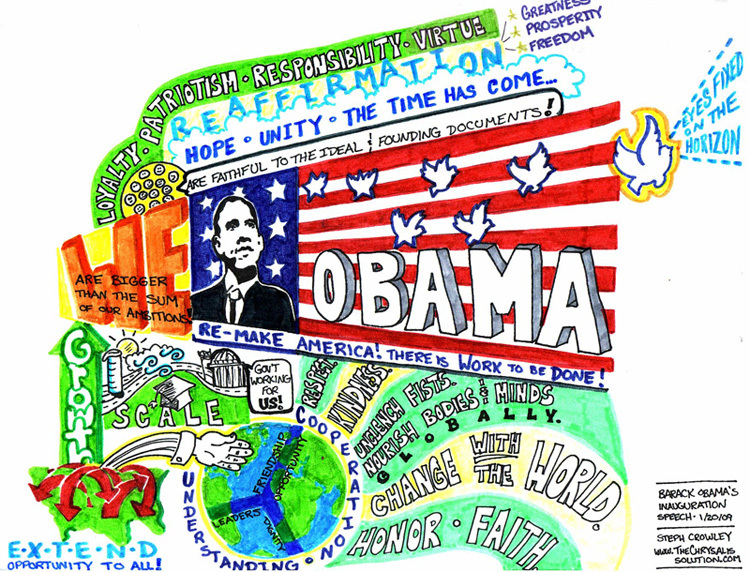 Here is a Graphic Recording that Stephanie Crowley did for Barack Obama’s inauguration speech. Be sure to check out her website to learn more about Graphic Recorders.